If music be the food of love...: Nie hab ich so etwas gehört und geseh'n! Nie hab ich so etwas gehört und geseh'n! Having a week end to spend in the Netherlands between two European missions, I decided to base myself in the small city of Leiden in South Holland. It was close to Schiphol airport and there was a direct bus to the Keukenhof flower garden. It was the full blooming season at the Keukenhof and I enjoyed all the colourful tulips and other bulb flowers on display. 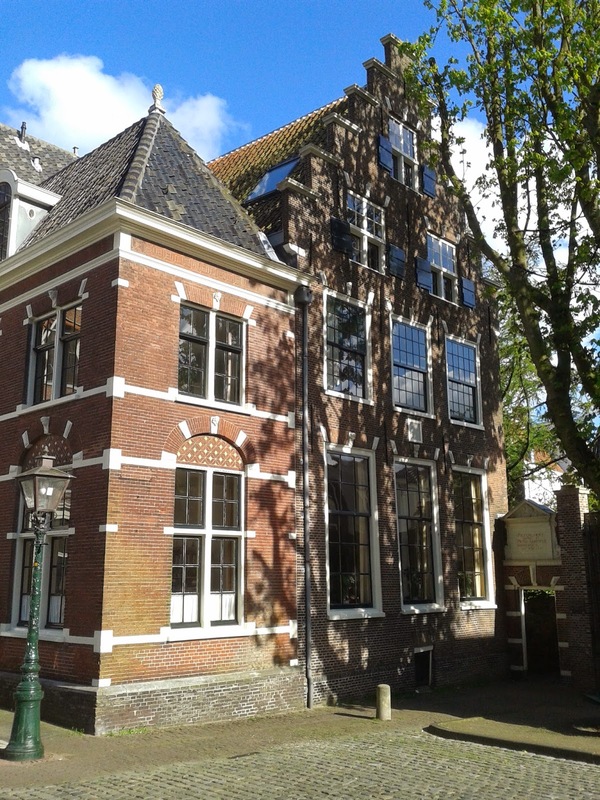 But I was just as pleased by my stay in Leiden, which has kept its medieval and Renaissance architecture. It is so small it can be visited comfortably on foot. The city museum had wonderful Dutch masters on display. I stayed in a delightful apartment in a quiet road in the old quarter of the city, close by to many sights and to lots of restaurants preparing delicious food. I am really impressed by how the quality of Dutch cuisine has improved in the past years. There are lots of restaurants now proposing gastronomic meals at reasonable prices, with a wine list carefully selected to go with every dish. I got to share such delicious food with Birgit Boogaard, formerly a sociologist at ILRI but now starting a new career in art! As for the music, my host's CD collection kept me entertained all the time I was in the apartment. And one of the churches nearby had a chiming carillon every fifteen minutes. At 13.00 every day, it played a chorus from Mozart's Magic flute, which I had sung with Bangkok Opera. This stay has also brought back great memories from the past.